Plastic nose surgery, called rhinoplasty, is the greatest operation we specialise in. It aims to balance the face and give an overall harmonious look, without giving away the fact that the nose has been operated on, thanks to a natural appearance and lack of scarring. This means it can improve the entire facial aesthetics and, in particular the way you look. The shape of the nose gives strength and character to a face and is an important element of your personality, which we aim to completely preserve and not to downplay or try to format a face that has character. There are a few classic quotes on this subject: "Powerful disgrace is better than bland grace" or "You can proudly expose a defect but a bland face disappears". 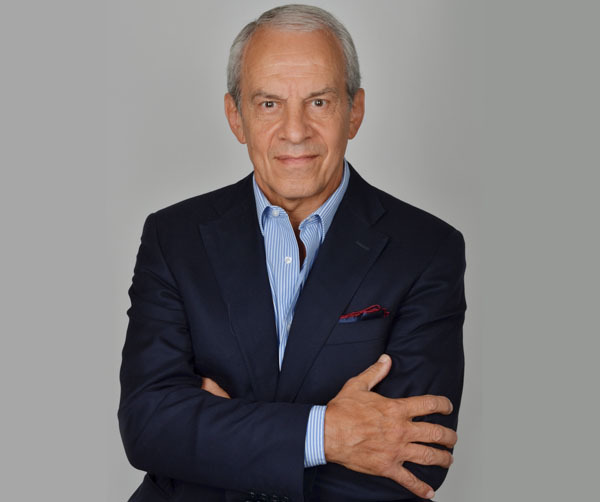 These quotations from artists or literary men emphasise that, when it comes to rhinoplasty, it is essential to preserve the expression and strength of character of a face. It is often the shape of the nose tip that gives this impression of dynamism; it is vital to avoid a tip that points downwards. A little like a ship's bow, it must look forward. We can reduce a nose that is too long but must always preserve its shape, which gives the face its character. 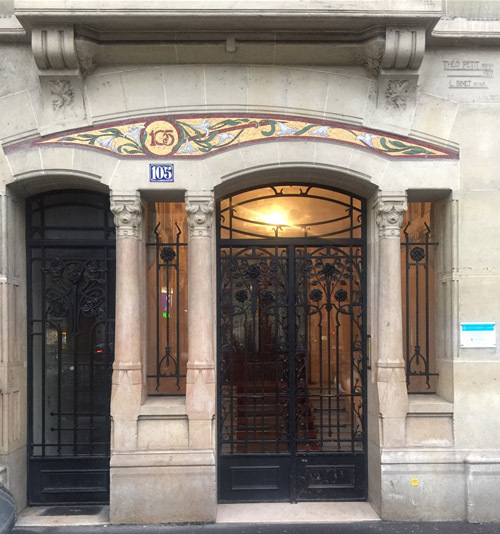 For the operation to succeed, of course, there is the aesthetic aspect, but also, and this is very important, the functional aspect. Above all, a beautiful nose is one that allows you to breathe without having an open mouth. The operation to reduce an oversized nose will shrink the nasal cavities so it is important to straighten the internal nasal septum so the passage of air is not blocked. Finally, in aesthetic rhinoplasty, it is important to preserve the patient’s ethnic identity by making changes that harmonise and embellish while preserving your identity so that your family still recognise you. The operation is deemed to be successful when the patient's family, friends and peer group do not notice they have had rhinoplasty, even if there has been a substantial change and very often put the change down to a new haircut or a week's holiday. You can see a change and an improvement, but without being able to link this to the nose and even less to an operation. The reasons for having a consultation are varied. Rhinoplasty may be used for functional, reconstructive or aesthetic purposes. 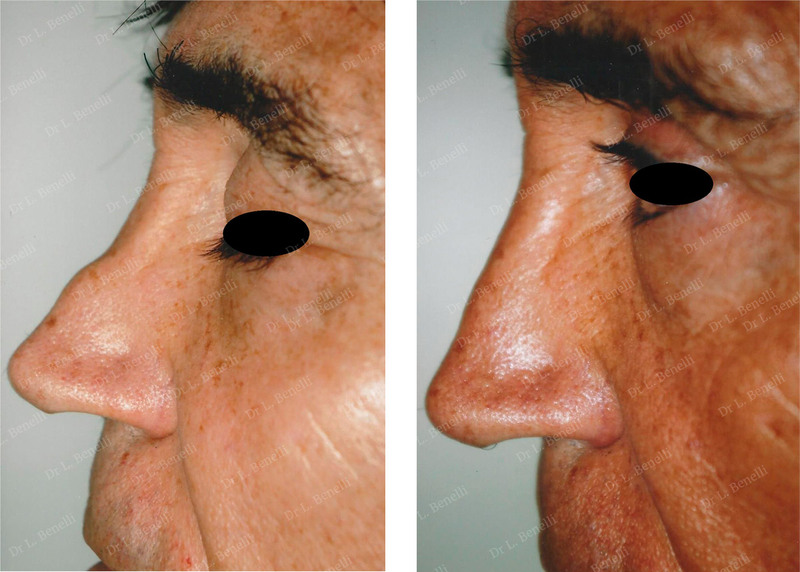 Functional rhinoplasty aims to improve the physiological role, by helping to clear a nasal obstruction through modifying the anatomical structures. 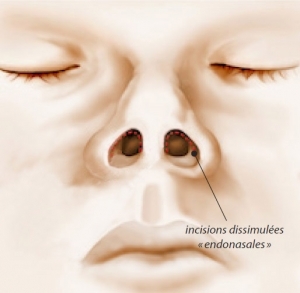 Reconstructive rhinoplasty to aims to correct nasal or traumatic malformations: correct a congenital or accidental deformity with distortion of the nasal septum, which can cause respiratory difficulties. Aesthetic rhinoplasty consists of modifying the appearance of the nose, reshaping it and restoring the balance with the rest of the face: modifying the tip, refining the base, removing an unsightly bump, modifying the angle between the nose and the upper lip, correcting the unsatisfactory result from a previous rhinoplasty procedure. Each person asks me to correct a particular defect that they find particularly troublesome. The objective of the operation will be to correct this defect as a priority by assessing whether it may be appropriate to correct other associated defects to have a well-balanced, natural result that meets your expectations. Indeed, correcting a particular defect sometimes risks bringing out another defect which was less visible before, either on the nose or on another part of the face. So, for example, correcting a hump can accentuate a downward-pointing tip; then, we need to correct the hump, as well as support the tip. It can also be useful to correct the chin at the same time to improve the overall harmony of the facial profile; we call this profiloplasty. 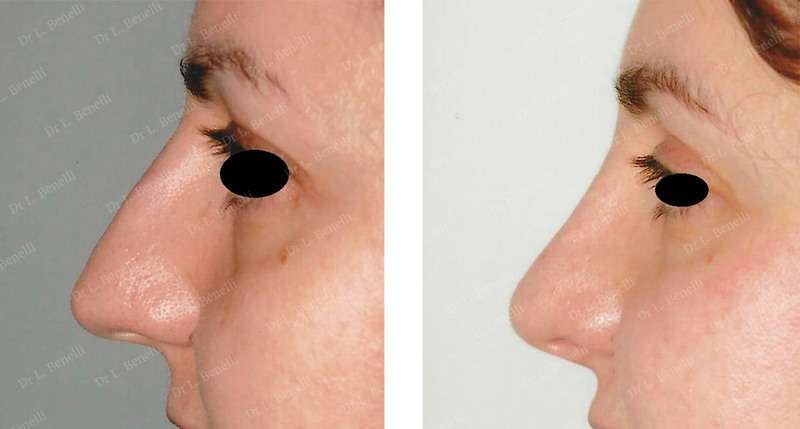 Rhinoplasty can be performed when bone growth is complete and the nose has stabilised in its definitive adult form, i.e. from about 16 years of age. In some cases, surgery may not be used to correct a defect but to carry out the correction through non-surgical techniques, using surgical procedures like hyaluronic acid injections or your injecting fatty tissue (lipofilling). During the first consultation, it is essential that you openly express what bothers you and what you would like to improve. Do not be afraid to ask any questions, including expressing your fears and expectations. Everyone has a different body shape, psychology and expectations. These are not and there is no standard to apply. Any change to the structure of your nose will take into account the shape of your face, your age, your ethnic identity, the structure of the cartilage, the thickness and condition of the skin. The bones and cartilage give the nose its characteristic shape, the skin is only the coating of this bony and cartilaginous structure. So you can visualise the desired result, I will take photographs and accurately draw the changes we consider on the photo. I will also show you pictures of surgical results of cases similar to yours so you can to understand the goals of the procedure. A scan of the nasal cavities to detect any respiratory problems. If you are having a general anaesthetic, you will need a consultation with the anaesthetists in the weeks leading up to the operation and at least 48 hours before. For a general anaesthetic, you will have to fast strictly for 6 hours before the operation (do not eat anything, chew gum, eat sweets or smoke). However, if you are having a local anaesthetic, you can to drink and eat lightly at normal mealtimes. Your time in hospital is limited to half a day. Hospitalisation may sometimes be necessary the night following the operation. The operation lasts for about 1 to 3 hours, depending on the planned procedure and its complexity. Local, deep local (neuroleptanalgesia) or general according to your preferences. Most often, general anaesthetic is required. To change the shape of the nose, you need to access the anatomical structures that give it its shape (the bone, cartilage, muscle, fat, etc.). Located under the skin, these are accessed through incisions hidden in the nostrils, which leaves no visible scarring. I then model the various elements based to the agreed procedure (reducing a bump, refining a point, straightening the septum...). The operation can include simple cartilage remodelling, for example to refine a slightly thicker area or remodel the bone, for example, to reduce a nose that is too big or too wide. Reducing a hump is a highly controlled process and the hump is not reduced all at once by a single cut to the bone, which often leads to the nose being set too deeply. Rather, the bone is gradually reduced by filing it until the desired profile is obtained. The photographs are displayed in the operating room as a reference to guide the operation. Thanks to its elasticity, the skin follows the bone structures once more and naturally finds its own position. To preserve proper nasal breathing, it is essential to preserve the cartilage structures known as the nasal "valves" located on the wings of the nose and to straighten the septum properly if it is out of alignment. The stitches closing the incisions inside the nostrils are very fine and will dissolve, so they do not need to be removed. To stabilise the new shape after the operation, a plaster or a soft shaping bandage is applied to the nose to immobilise it. This will be removed 5 to 8 days after the first post-operative consultation. Dressings can also be placed inside the nasal cavities to stabilise the structure from the inside. These are usually removed the day after the operation. I usually use specially-designed dressings that allow you to breathe through your nose, which avoids the discomfort of a nasal obstruction by conventional absorbent dressings. Any pain is controlled by a prescription for analgesics. The feeling that you have a blocked nose is most likely to bother you. There may also be bruising and swelling around the nose and in the eyelid area, which may take about 10 days to almost completely disappear. However, you can mask these with a cover cream the day after the operation. You will need to take time off from work and social activities until the plaster is removed, which is 5 to 8 days after the first post-operative consultation. Since the stitches used are absorbable, these do not need to be removed. If dressings have been placed in the nasal cavities, these are usually removed the day after the operation. You can clean your face with a mineral water spray. An oily antibiotic ointment is applied to the scars inside the nostrils once a day for a few days to help prevent scabs from forming. You will need to book a follow-up appointment 5 to 8 days after the procedure, then after 1 month, 3 months, 6 months, and 1 year. Exposure to the sun: no direct exposure for 6-8 weeks, then exposure is allowed using a sunscreen with a maximum protection factor. Make-up: the bruises can be hidden by a cover cream the day after the operation; your usual make-up can be applied over the cover cream. Sport: individual sports like gymnastics or running can be resumed about fifteen days after the operation; team sports or sports involving a risk of trauma to the face (combat sport, ball, etc.) cannot be resumed for 3 months. The improvement is immediately visible when the plaster is removed, despite any oedema (swelling) and bruises that prevent us from seeing the complete final result. After about ten days, your recovery will be sufficient to let us see the results, even if stabilisation takes 1 to 6 months. The final result of a rhinoplasty can really been seen from 6 months after the operation. In addition to an aesthetic improvement, this operation has a beneficial effect on the patient's well-being and development.